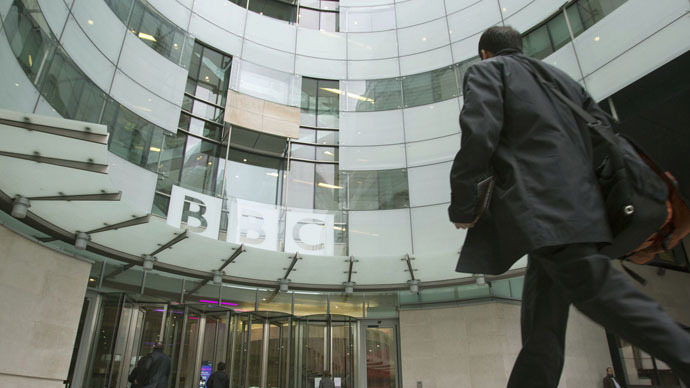 Following the appointment of license-fee skeptic John Whittingdale to the cabinet on Monday, the UK’s right-wing press have sent out a flurry of front pages declaring the government is already ‘at war’ with the BBC. Whittingdale has long been a staunch critic of the license-fee, a compulsory charge that costs television owners £145.50 per year to fund the BBC. He has previously called the charge “worse than the poll tax.” Whittingdale’s critics say his appointment may spell the end of the broadcaster as a public body. His promotion to secretary of state for culture comes as discussions about the fee’s renewal and BBC funding begins. Speaking to the BBC on Tuesday, newly appointed Business Secretary Sajid Javid backed the appointment of Whittingdale, saying he was “hugely experienced” and an “excellent choice” for the role. “There is a bit of over-excitement in those headlines,” Javid cautioned. The leader article in the Telegraph, a paper which has traditionally opposed the license-fee, quoted Downing Street sources who said Whittingdale would “sort out the BBC.” The paper claimed many Tories had been “furious” at the BBC’s supposedly left-wing bias during the general election. “There are now concerns that the corporation's coverage of the EU referendum in 2017 could betray a pro-EU bias,” the paper claimed. Contrary to Conservative claims, independent watchdog Media Lens noted the BBC was also responsible for producing some pro-Tory material and had penned a veritable “love letter” to Cameron after his re-election. “I think it’s sensible to look at that, to make sure the BBC is on a sustainable long term funding arrangement and I know John is just the right person for that job,” he added.